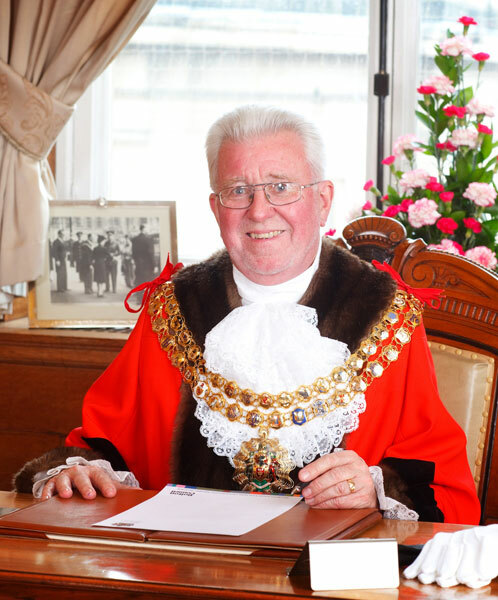 Councillor for the former Daubhill ward for 24 years and Deputy Leader of the council for 21, serving as Chairman and Vice-Chairman of Greater Manchester Transport and Chairman of North West Employers during this time. With reorganization of the borough’s ward boundaries in 2004 he lost his seat but returned in 2009 as a Councillor for Crompton ward. Stood unsuccessfully as Labour candidate for the Bolton West parliamentary constituency in 1987. Keen walker, his favourite routes including stretches of the Leeds Liverpool Canal around Adlington and Wigan. His wife, Colette, was Mayoress. His son, Sean Harkin was Labour Councillor for Westhoughton North and Chew Moor from 2012. 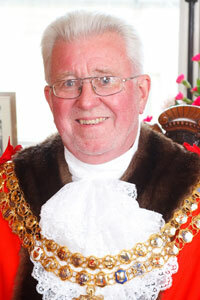 Formal portrait of Guy Harkin as Mayor of Bolton. 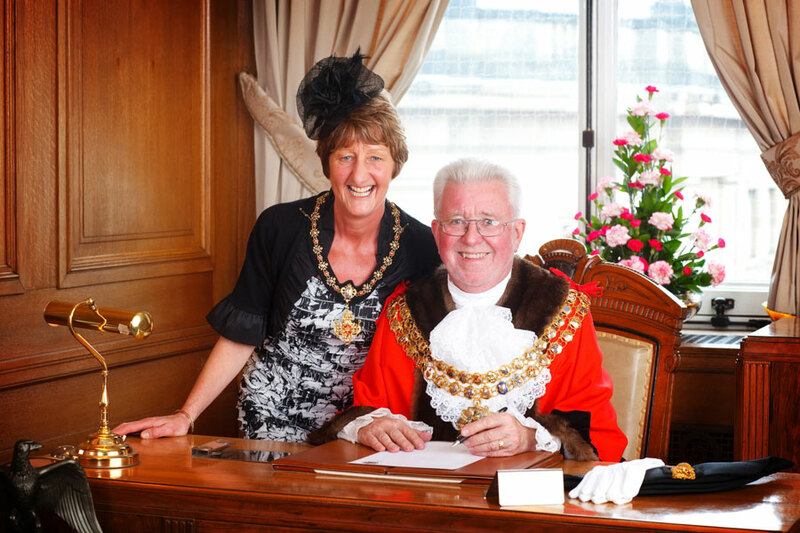 Formal portrait of Guy Harkin and wife Collette as Mayor and Mayoress of Bolton.